Shopify Inc. appears to have responded to allegations that up to 90 per cent of its customers may not be legitimate companies. The Ottawa-based tech darling issued a 156-word statement through its Investor Relations team on Thursday saying that it’s committed to supporting entrepreneurs and defending its business model, though it did not directly address the allegations that many of its customers are resellers rather than legitimate businesses, made by Citron Research managing editor Andrew Left in a video released on Oct. 4. Stores using Shopify generated $10.7 billion USD in gross merchandise volume in the first half of 2017. “We vigorously defend our business model and stand resolutely behind our mission and the success of our merchants,” the statement concluded. Since the California-based Left released his video (below) on Wednesday, shares in Shopify have fallen by 12 per cent. That leaves more than 450,000 merchants unaccounted for, Left writes in a report on his website, which alleges that most of those 450,000 are a series of promoters claiming – possibly in violation of American Federal Trade Commission (FTC) laws – that Shopify can help users become overnight millionaires. 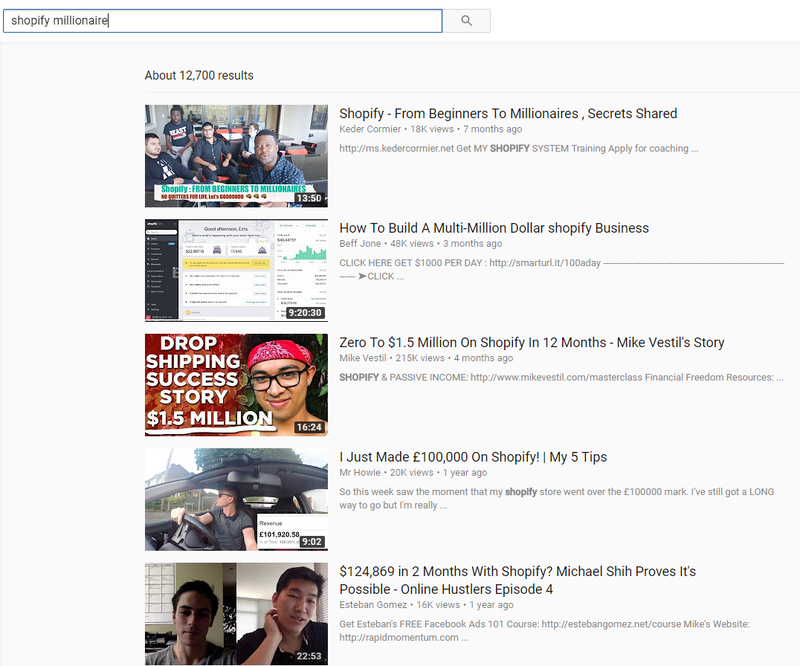 “Just search YouTube for the term ‘Shopify millionaire’ and their marketing strategy becomes obvious,” Left writes. Shopify calls these promoters “partners” and “affiliates,” Left says, noting that during its last conference call the company said 13,000 partners had referred merchants to Shopify in the past 12 months alone. 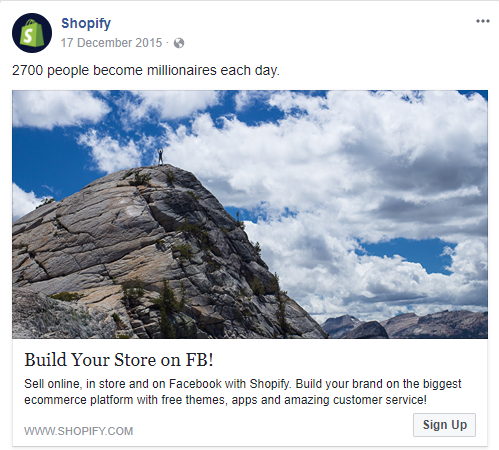 And while the most glaring offenders are third parties such as Keder Cormier, a former promoter of natural products reseller (and certified FTC violator) Herbalife, on its own Facebook page Shopify itself appears to claim that associates can become millionaires too. Meanwhile, the company’s affiliate page invites bloggers, educators, business leaders, social media influencers, media networks, and YouTube creators to earn referral income, worth up to $2000 per merchant, by sharing the benefits of Shopify with their audiences. These affiliates, Left says, represent the majority of Shopify customers: people who have been sold dubious “business opportunities” based on referrals, using ads which could violate Federal Trade Commission rules by over-promising success for distributors. It should be noted that Left himself makes his living as a short seller – that is, betting against stocks that he believes are overvalued. In Shopify’s case, he concludes that the company’s stock should fall by 45 per cent. Though he saw a boost to his reputation in 2015 after going public with allegations that Montreal-based drug company Valeant – at one time, the most valuable company in Canada, now worth 10 per cent of its former value – was fudging its numbers, Left has made other high-profile bets which haven’t paid off nearly as well. Tesla appears to be doing just fine, for example.